SuperChips Vivid The power of Superchips and the AndroidTM operating system are now in the palm of your hands. 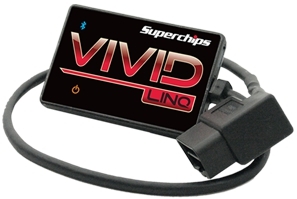 The state-of-the-art Superchips VIVID is the first of its type to successfully integrate many of today's popular consumer electronics with a full blown performance tuning device. 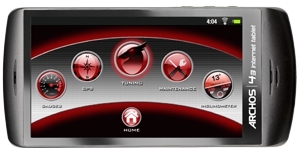 The key is the combination of Superchips vehicle tuning features combined with an internet tablet powered by the Android operating system, opening up a whole new world of performance and features. This is certain to be the best selling performance product of 2012! Here are a few of the countless uses for the Superchips VIVID. Some applications require internet connection. ¹Optional features require third part accessories to be installed and programmed to operate. Additional hardware may be required. Android and Google are trademarks of Google, Inc. All brands and product names are registered trademarks of their respective owners.